Berry Springs Lodge: Just for the Fun of Food! In 2013 Berry Springs Lodge will feature different themed ingredients in our desserts and breakfast dishes each week. Every month will have its own theme. 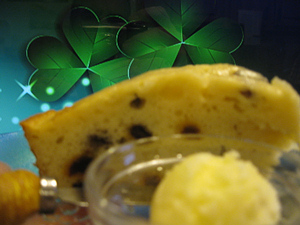 For example; since St. Patrick’s Day is March Sue will create Irish concoctions like Irish Soda Bread and chocolate covered mint cookies. In April with the introduction of spring she will incorporate lemons, limes and oranges in the foods we offer. Key lime pies, lemmon tarts and orange creamcicle cake could be some of the desserts offered in April. May is a great month for blueberries, cherries and blackberries. Blackberry cobbler is a favorite dessert of our guests. There is nothing like the smell of blueberry muffins baking in the morning. Check back with us each month to see what is being offered at the lodge. http://www.berrysprings.com/gatlinburg-specials---berry-springs-lodge.htm. Or Come stay and experience our new creations for yourself or like simply us on facebook to get the recipes. If you have a favorite recipe we would love for you to send it to us to try.